Not being contented with his modeling assignments, Delhi-born Sidharth Malhotra decided to make his career in Bollywood. However, surprisingly, the then-aspiring actor made his debut in the industry as an assistant director to Karan Johar who was working on his film My Name Is Khan. A couple of years later, Karan gave him a break as an actor in the movie Student of the Year (2012), which also featured debutants Alia Bhatt and Varun Dhawan. Sidharth's performance in his debut movie received unanimous appreciation and since then the actor has established himself to be one of the most successful actors of the new generation. So much so that Saibal Chatterjee of NDTV compared his screen presence to the legendary Amitabh Bachchan. He has appeared in movies such as Hasee Toh Phasee (2014), Ek Villain (2014), and Kapoor & Sons (2016). Sidharth Malhotra was born to a Punjabi family 16th January 1985, in Delhi. His father, Sunil, is a former Indian Merchant Navy employee, while his mother, Rimma, is a housewife. He also has an elder brother, Harshad Malhotra, who works in the banking industry. Sidharth completed his schooling from Delhi's Don Bosco School and Birla Vidya Niketan and later went on to pursue his higher studies from Bhagat Singh College. During his college days, Malhotra started taking up modeling assignments in order to earn some extra money. Soon, he was spotted by a model coordinator after which he took up modeling as a full-time career. The actor won the Mr. Gujarat pageant in 2007, he was the second runner-up in the Gladrags Mega-model and Manhunt 2007 and was also declared Gladrags Face of the Year 2009. After winning few beauty pageants, Sidharth started modeling for big brands and has walked the ramp for famous designers including Roberto Cavalli. He traveled to a lot to places including New York, Milan, and Paris to walk at various fashion shows. He received a few movie offers, and one of his contracts was with Adlabs for a project headed by director Anubhav Sinha, however, the film was shelved. Sidharth was in a relationship with a South African model Natalie till he was shooting for his first film, after which the couple broke-up. He then dated Izabelle Leite, a Brazilian model. Acting was never the first choice of career for Sidharth Malhotra, who started modeling at the of 18. Soon after a successful modeling career, he realized that he wanted to pursue his career in acting and took up a role in the hit TV serial Prithviraj Chauhan, along with actor Rajat Tokas. After signing a contract with Anubhav Sinha's project, which was shelved mid-way, the actor, in a bid to learn more about the art of film-making, started to work as an assistant director. He was supposed to pair opposite Priyanka Chopra in the film Fashion (2008), but could not take up the project due to the contract with Gladrags. Sidharth then worked as an assistant director on Karan Johar's film My Name Is Khan in 2010, which helped him bag a role in Johar's next venture, Student Of The Year. His portrayal as Abhimanyu Singh won the hearts of many and he also received several awards for his performance. After a hit film debut, Sidharth was seen in Hasee Toh Phasee, directed by Vinil Mathew, in 2014 opposite Parineeti Chopra. His performance was an aspiring businessman in the movie won him praises and was well-received by critics. In the same year, he starred in Mohit Suri's romantic-thriller Ek Villain, opposite Shraddha Kapoor, where he played the role of a hardened criminal. In 2015, the actor was seen in the remake of Hollywood film Warrior titled Brothers,directed by Karan Malhotra, alongside Akshay Kumar. In order to prepare for the role, Siddharth underwent an extensive training in martial arts. The story of a dysfunctional family, Shakun Batra's Kapoor & Sons, which released in 2016, co-starring Alia Bhatt and Fawad Khan, garnered praises, and Malhotra's performance was also well-received. The actor was next cast alongside Katrina Kaif in Nitya Mehra's 2016 release Baar Baar Dekho, which was a box-office disaster. 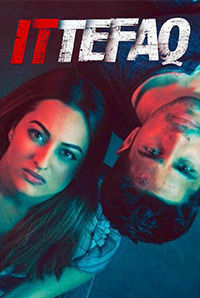 In 2017, the actor appeared in the movies A Gentleman and Ittefaq. Sidharth Malhotra's debut movie would have been Fashion opposite Priyanka Chopra and not Student Of The Year had it not been for his contract with Gladrags. 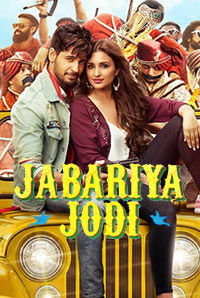 Before making his debut with Student Of The Year in 2012, Sidharth Malhotra played the role of Jaichand in Star Plus' Dharti Ka Veer Yodha Prithviraj Chauhan. In 2007, Sidharth Malhotra participated in and won the title of Mr. Gujarat. 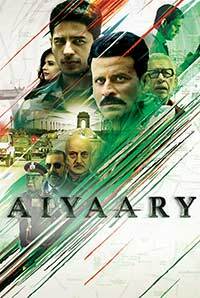 Six years after his debut, Sidharth Malhotra plays the role of an army officer for the first time in Aiyaary. Sidharth Malhotra began his career as a model and went on to become an assistant director to Karan Johar for his 2010 film, My Name Is Khan. Sidharth Malhotra sued two of his fans, who operated a page meant for Malhotra's fans, for 10 crores after they started selling unofficial merchandise under the star's name. Sidharth Malhotra loves rugby and believes that the sport has motivated him to work hard towards his fitness. Sidharth Malhotra lives alone in Mumbai with his pet boxer, Oscar. Before making his Bollywood debut, he walked the ramp at international fashion weeks in Paris, Milan, and New York. He has also modeled for the international designer, Roberto Cavalli. Sidharth Malhotra is the nephew of prominent Indian fashion designer, Manish Malhotra. Sidharth Malhotra is known for his sketching and doodling skills. He is often seen drawing cartoons during the breaks on film sets. Apparently, Arjun Kapoor was the first choice to play the lead role in Ek Villain. However, the Aurangzeb actor was not very keen on playing the second lead in the movie, which is when Siddharth Malhotra was offered the role. Sidharth Malhotra had auditioned for a movie which was supposed to be directed by Anubhav Sinha and would have been his debut movie. However, the project was shelved. Sidharth Malhotra turned down a role in Race 3 as he did not want to be paired opposite actress Daisy Shah. Sidharth Malhotra is an activist with PETA and aims at spreading awareness about dogs. He has also been associated with brands such as Coca-Cola​, Cornetto, Adlabs Aquamagica, Fair & Lovely Men Fairness Facewash, IDEE Eyewear, and American Swan. There’s a word for live-in relationships: marriage. Why not just get married? I don’t understand the concept of live-in relationships. Nobody puts their money and faith into you unless there is some promise that you show. Having said that, I was showing that promise to other filmmakers as well! It was Karan (Johar) who had the guts to put his money on me. He has an option of taking anyone but still he took Varun, Alia and me. His vision is very different. By roping me in, he wasn't looking at a temporary measure of making one film and moving back to his comfort zone. Moreover, he doesn't think small. I remember that for a scene when a Louis Vuitton bag was required, he made sure to get an original instead of something fake. That when it was being used just as a prop! I call myself an outsider because in Mumbai I do not have anything to fall back on. So if things do not work in my favour, I will have to pack up and come back to Delhi. That is why I want to make concerted efforts to carve a space for myself in Bollywood.